A second Leinster hurling final replay would have to return to Thurles and would cause serious fixture disruption because of the tightness of the new schedules. Failure to break a further deadlock between Galway and Kilkenny in Semple Stadium on Sunday, even after two different periods of extra-time - two 10-minute periods followed by two further five-minute periods - would prompt a second replay as provincial and All-Ireland final replays are not bound by a 'same-day' finish. With the first round of the All-Ireland quarter-finals throwing in on the Saturday/Sunday, July 14/15, Croke Park would again be unavailable to Leinster GAA, forcing them out of the province for a second successive weekend. As has been the case for many years, Sunday's Leinster hurling final was played on the first weekend of July. However, with the All-Ireland final moved forward two weeks from its traditional date of the first Sunday in September, the overall schedule is somewhat tighter this year. The Leinster final replay is being played in Thurles on Sunday because of a Michael Buble concert in Croke Park this weekend. 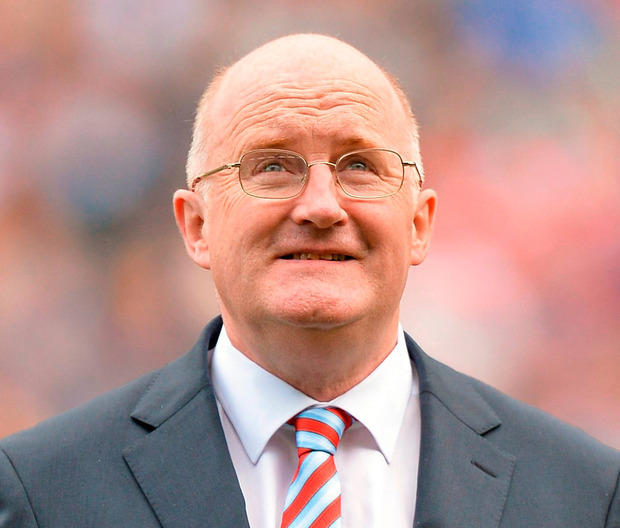 That prompted GAA president John Horan to confirm yesterday that he would be seeking to make headquarters a ‘concert-free’ zone in July and August in future so such games would not have to go to other venues. But the greatest disruption that a further replay could bring about is to the schedule with the All-Ireland hurling quarter-finals, fixed for the weekend of July 14/15, unable to proceed until a Leinster loser is established. As losers on Sunday, either Galway or Kilkenny will find themselves out for a third successive weekend with a quarter-final to play against Limerick or Carlow the following weekend. A third successive weekend of action proved problematic during the round-robin series in both provinces and is likely to trigger a backlash on Sunday evening. The first Leinster final replay since 1993 and the third weekend of successive action could prompt the GAA to review their policy of no extra-time for provincial finals.